The Festival is fast-approaching and the weather is warming up (well, fingers crossed). The river running through Worthy Farm is running low because of the lack of rain. The heat has dried the land around which means pee will enter the river more quickly, which would be bad because urnine produces ammonia which starves the rivers of oxygen. Any changes to the water chemistry has a negative impact on fresh water fish and other species which are sensitive to change. Help us to give the farm the respect it deserves. 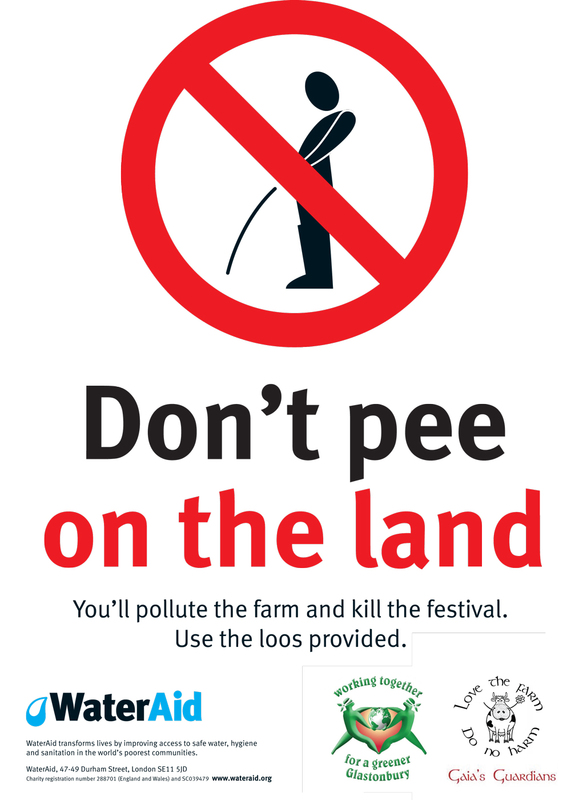 Please don’t pee anywhere except the loos. Thank you.